Home > News > Our first addon! Great new guys, we are so happy to announce our first foodpress addon – Online Ordering for foodpress. We have worked really hard during past few days to make this right and smooth as we can make it to be perfect for all our dearest early foodPress lovers. We had ton of people asking for this and we are so happy that we can give this to you in a relatively quick time frame. 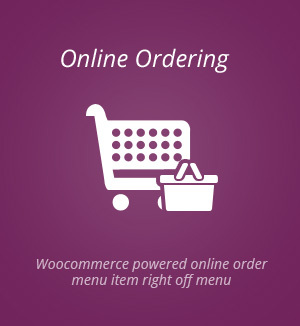 Primarily this addon will allow you to connect Woocommerce plugin seamlessly into your foodpress menu and allow your customers to order menu items online. It is so cool trust me! 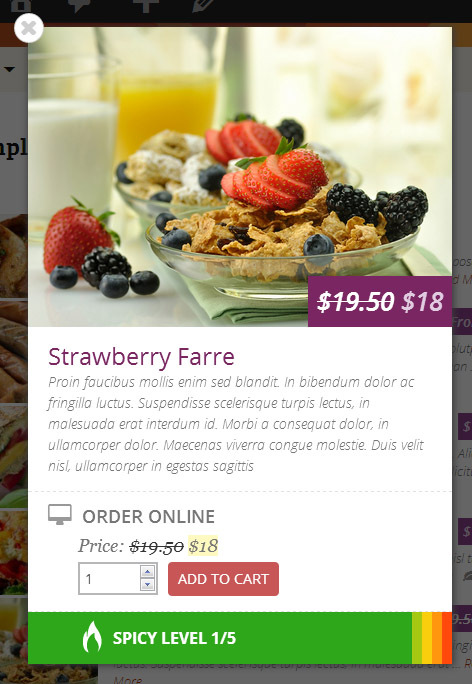 The seamless integration into foodPress is amazing with this addon, that you can’t event tell you are using Woocommerce. On the right is one of the screenshots of how awesome it looks in our foodPress menu card with crossed out regular price for item and a sales price along with add to cart buttons. All this works via AJAX to create awesome use interaction for your customers. You can also change button colors, icons etc. to match this with your menu and website. So head over and check out our new FoodPress Online Ordering addon!